Hello everyone, and welcome to another Singapore watch review! This Sunday, I’ll be reviewing the Nobel Royal from Swedish watch brand, Rumoe. The Rumoe Nobel Royal, seen here in Rose Gold/Black. Meant as a classic dress watch, the Noble Royal is Rumoe’s debut model, priced at $319 USD (after promo code below). Rumoe describes the watch as “an excellent timepiece balancing elegance and simplicity.” Let’s see how the Rumoe Noble Royal stacks up! 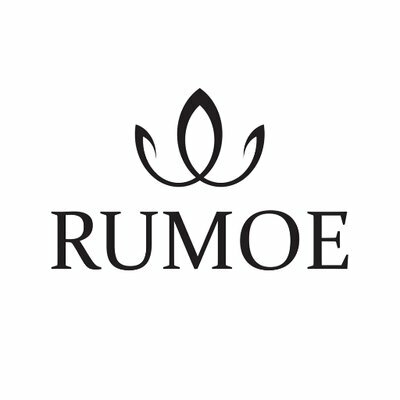 Honestly, I don’t feel much for Rumoe’s brand story. It’s rather generic, and lacks soul – the brand story seems near identical to other minimalist watch brands (DW/MVMT/Filippo Loreti, Corniche, and many more). The premise is the same: the founder, dissatisfied with the overpriced sh*t watches currently on the market, decides to make one himself and offer it to the masses at an affordable pricing, making “luxury accessible”. More often that not, these watches tend to fall decidedly short of luxury – we will see if that’s the case here with the Rumoe Nobel Royal! My advice to Rumoe – give me something more personal. I want to know the true inspiration (not this making luxury affordable marketing babble) behind the brand, the passion the founder has for watches, etc. Craft a better, more tailored brand story – a pretty Instagram page isn’t good enough! Rumoe states that the Nobel Royal is made with “premium quality” materials, assembled to a “high standard of excellence”. As you no doubt have gathered by now, that’s a bit of an exaggeration, but if you are able to cut through the marketing hyperbole, the quality of the watch (compared to other watches in its price point) is actually not bad! Sapphire crystal is utilized on the Nobel Royal. First of all, sapphire crystal is present on the Rumoe Nobel Royal. As aforementioned numerous times in my previous reviews, I’m a huge advocate of sapphire crystal due to their inherent scratch-resisting properties. This is a feature not always seen on ~$300 USD watches. (For example, Seiko/Swatch still use Hardlex crystal for their watches in this price range). Furthermore, many “minimalist, luxury-disrupting” watches in the same price point do not use sapphire crystal. DW and MVMT uses mineral lens, while Filippo Loreti uses “sapphire-coated” mineral lens. Good on Rumoe’s part to insist on sapphire crystal! Inside, the Seiko NH35 movement powers the Nobel Royal. The venerable Seiko NH35 movement powers the Rumoe watch. The NH35 movement is a very popular choice for microbrands in the sub-$500 USD price range due to its reliability and affordability. Some quick specs: the movement beats at 21600 vibrations per hour, has 42 hours of power reserve, contains 24 jewels, and is hacking. I’m a fan of the Seiko NH35 movement, much more than the Miyota 8 series movement (which is the alternative movement commonly seen at this price point). This is due to the fact that unlike the NH35, the Miyota 8 series movements are non-hacking, suffer from a stuttering second hand (some models), and in my own experience with the Miyota movements, are also more prone to accuracy problems. However, I would have liked to have seen a Miyota 9015 movement inside the Nobel Royal instead. Due to its slimmer form factor, the choice of the Miyota 9015 movement would have made it possible for Rumoe to reduce the case thickness of the Nobel Royal to perhaps 10mm and below, and therefore feel better on the wrist as a dress watch. (Dress watches need to be slim to fit under a shirt cuff) At 11.5mm currently, the Rumoe watch wears a bit high on the wrist for a dress watch. The quality of the stock strap is average. However, it does come with a butterfly clasp. The leather quality of the stock strap is decidedly average. It’s not the worst I’ve seen, but it definitely doesn’t scream luxury. The leather seems to be of “Genuine leather” quality – I would have loved for a vegetable tanned full-grained leather strap to be paired with the Rumoe watch instead. Definitely, the leather quality is an area where the watch’s low price tag betrays itself. However, the strap does come with a butterfly clasp, which is not a feature commonly seen at this price point. In fact, the only other watch I’ve seen include a butterfly clasp at this price point is the Straits Foundry Expedition I reviewed earlier. Admittedly, the butterfly clasp isn’t the greatest, but the fact that it’s a feature included on the watch at this price point is already a plus. Overall, I find the build quality of the Rumoe Nobel Royal commendable, especially at its $319 USD price tag (after promo code below). Personally, I wished they upgraded the movement with the Miyota 9015 so as to lower the case thickness and achieve a smoother sweeping second hand. Include the Miyota 9015 movement and price the Rumoe Nobel Royal slightly higher at $369 USD – that would be my advice! Talking about advice, I implore Rumoe to stop the marketing hyperbole. They state on their website that the watch contains a “A timeless automatic movement with premium quality, accuracy and functionality” – those are words better suited to describe a Rolex 3135 movement, not the Seiko NH35! Call a spade a spade, and market the Seiko NH35 movement as what it really is – an affordable, workhorse movement that will run accurately for years and won’t cost you a fortune to service when it does go awry. The design of the Rumoe Nobel Royal, while it won’t win any awards for originality, actually comes together rather cohesively. The dial of the Nobel Royal is clean and simple, like a dress watch should. It’s not a design that’s unique, or can’t be found on other dress watches from competing brands, but I find that Rumoe has executed the “minimalist” design aesthetic on the Nobel Royal thoughtfully. There are applied indices for the hour indicators, an applied logo, a gilded date window, sharp dauphine hands and a matte black dial. On first glance, the dial on the Rumoe Nobel Royal possesses nothing much to shout about – it just looks like another generic “minimalist” dress watch. Yet, after spending some time with it on the wrist, I begun appreciate the little details that Rumoe has put into the watch. Love the faceted edges of the hands and indices. I love the faceted edges of the hands and the indices. Due to the sharp edges, they glistens in the light, resulting in a rather attractive dial. In addition, they also add dimension to the dial, as opposed to other minimalist watches which utilizes stick indices. I think framing the date window is a smart move as well, as it leads to a more sophisticated look. One thing I really appreciated was that Rumoe ensured that they paired a black date wheel with a black dial, and a white date wheel on a white dial. This may seem insignificant, but a lot of microbrands still elect to use the standard white date wheel across all their dial variants. Lastly, I also liked the length of the second hand. After wearing the watch for a period of time, I noticed that Rumoe has designed the second hand to be of the exact length where it just brushes the printed minute indicators. I don’t think this is a coincidence – I think this is a conscious design choice. A lot of dress watches fall prey to the mistake of having their hands either too short or too long, but Rumoe nailed the length of their hands here! The case-side is nicely polished as well. I’m also impressed at the finishing of the case, given the price point of the Nobel Royal. There’s contrast in the finishing techniques used, which I like. The main case-side are brushed, while the bezel and lugs are polished. In addition, there’s also a fine polished line at the top and bottom of the case-side, “sandwiching” the main brushed body. This level of finishing is rather uncommon at the ~$300 price point, where most microbrands will just stick to a single type of polishing, usually either brushed or gloss polished. In my opinion, Rumoe did well in the case department – it looks way more expensive than its $319 USD (after promo code below) price tag suggests. My only knock on the case is that it feels too light, probably due to the use of plastic spacers inside. The watch needs a bit more heft to feel more substantial, more expensive. Before I forget, we also get a signed crown – again something that is not always the case with watches in this price range. The crown is nicely sized too, and I did not have any trouble winding the watch. The caseback features a laser-engraved artwork. The caseback features a rather nice laser-engraved artwork. It depicts the silhouette of Stockholm, Sweden and a Swedish King pointing his sword towards The Church of Knights, called “Riddarkyrkan” in Swedish. “Riddarkyrkan” is actually Stockholm’s oldest preserved building and also the church where all Swedish Monarchs are buried by tradition. I like the caseback – it makes sense thematically, and ties in with the “nobel” and “royal” nature of the watch. The same can’t be said for all other microbrand watches I’ve reviewed at this price point! However, I wished the artwork was embossed, rather than laser engraved. Laser engraving might wear off over time, and is almost definite be marred by scratches (as seen in the picture above). Overall, I think that the design of the Rumoe Nobel Royal is well executed. Yes, it’s not very original, and bears more than a passing resemblance to the plethora of “minimalist” dress watches out there. Yet, most elements on the watch comes together cohesively, and together punches above the price tag. If you’re looking for a classy dress watch, the Rumoe Nobel Royal definitely fits the bill! As aforementioned, there’s no shortage of minimalist dress watches out there on the market currently. The closest I could find (in terms of looks) was the Bangalore Watch Company Renaissance, which has been recently covered in numerous prominent watch blogs as such ABTW and Worn and Wound. Given the close resemblance in looks and the fact that the Renaissance – like the Nobel Royal was for Rumoe – is Bangalore Watch Company’s debut effort, I chose to pit the both of them against each other in this shootout. In terms of build quality, the Renaissance edges the Nobel Royal slightly. They share a plethora of similar specs, such as sapphire crystals and calf leather straps. However, the Renaissance uses a Miyota 9015 movement that comes with a higher beat rate, resulting in a smoother second sweep on the watch. There’s also C3 lume on the hands of the Renaissance, though I’m not sure why exactly one needs weak lume on a dress watch! However, despite using the slimmer Miyota 9015 movement, the case thickness on the Renaissance is actually identical to that on the Nobel Royal at 11.5mm. In fact, looking at the case-sides of the Renaissance, it seems to bear a near-identical resemblance to case profile of the Nobel Royal – even the finishing is done in an identical fashion! My guess is that both companies probably acquired their watch cases from the same manufacturer. However, while I can forgive the 11.5mm thickness of the case on the Nobel Royal because of the beefier Seiko NH35 movement inside, the case profile on the Renaissance should really be slimmer. Choosing to equip your watch with the Miyota 9015 movement but not choosing a slimmer watch case is just such a shame. For comparison, the Nobel Royal by Rumoe. Apart from the case, the dial of the Renaissance is pretty similar to the Nobel Royal as well. There are slight differences, such as a circular brushed dial on the Renaissance as compared to the matte dial on the Nobel Royal, and applied minute indices on the Renaissance as opposed to printed minute markers on the Nobel Royal. Other than these slight difference, the design of both watches are eerily similar. However, Bangalore Watch Company neglected to adopt a black date wheel for their darker dial variants – a personal pet peeve of mine, though that is admittedly subjective. Alright, so we’ve established that both watches are very similar in both specs and design. What’s not the same however is the price tag. While the Nobel Royal is only $319 USD (after promo code below), the Bangalore Watch Company Renaissance is a whopping $596 USD – and that’s the pre-order price, not the MSRP! I certainly won’t pay twice the amount for just a movement upgrade (A Miyota 9015 movement cost only $50 USD more than a Seiko NH35 movement at most), especially when it does not translate to a slimmer form factor. Make no mistake, the Renaissance Automatic is the better watch out of the two – but it is not significantly better than it warrants an almost $300 USD premium. At $600 USD, you can get a Tissot Visodate (a brilliant watch) and have enough spare change to get an extra strap! As such, the Nobel Royal presents a far better value proposition, and is thus my winner of this shootout. Conclusion: so the Rumoe Nobel Royal “shiok” anot? Undoubtedly, minimalist aesthetics are immensely popular currently – it’s the trend that resulted in companies such as Daniel Wellington, MVMT, Filippo Loreti and Linjer making millions. If you’re a fan of such aesthetics, the Rumoe Nobel Royal does offer a compelling value proposition at an affordable price point. Amongst the plethora of watch brands offering minimalist dress watches out there, I do think Rumoe offers good bang for buck. 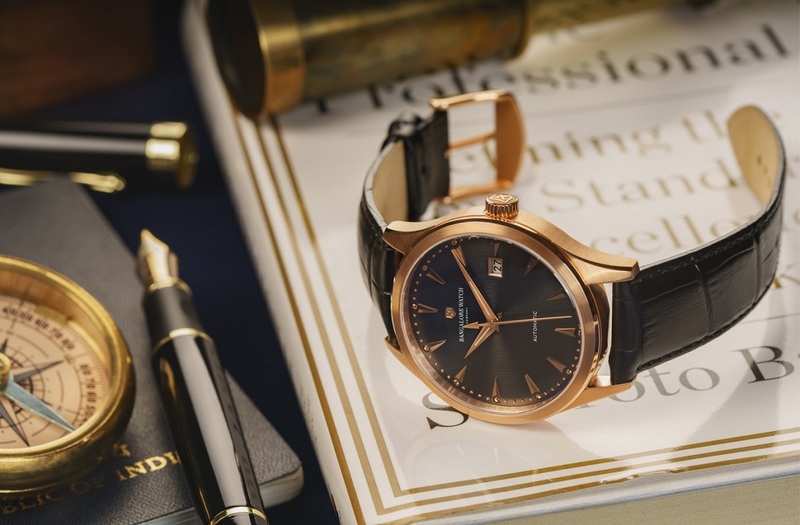 Such minimalist dress watches tend to be overpriced – for example, Corniche watches sell their Heritage 40 QUARTZ watch for $369 USD, Melbourne Watch Company offers the Collins at $675 AUD/ $516 USD (with a Miyota 9015 movement and a slimmer case), whilst Meccaniche Venneziane lists their Redentore for 519 Euros/ $610 USD (with a Depa Swiss Movement and domed sapphire crystal). As compared to the dress offerings from other microbrands, I think the Nobel Royal makes for an attractive proposition, both in terms of value and looks. Rumoe has kindly offered readers a 20% discount on all watches – simply apply the promo code “WAHSOSHIOK” upon checkout! After the discount, the Rumoe Nobel Royal comes in at just $319 USD. At this price, I think the Nobel Royal fills the gap between a $200 USD Orient Bambino and the $500 USD Tissot Visodate nicely. If you can overlook the cringe-inducing marketing baloney that Rumoe throws at you, the Nobel Royal should definitely worthy of serious consideration if you’re on the hunt for an affordable dress watch! View Rumoe’s full range of watches here. Next articleFeature: 9 places to get Affordable Watch Straps in Singapore!